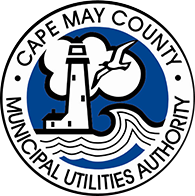 In 1972, the Cape May County Municipal Utilities Authority (“CMCMUA” or “Authority”) was created by the Cape May County Board of Chosen Freeholders. The Authority, and its appointed board of commissioners, was entrusted with the task of designing, constructing and operating, efficient and cost-effective wastewater treatment facilities to respond to the passage of the Federal Water Pollution Control Act Amendment of 1972. This Amendment mandated the abatement of pollution of the nation’s water resources. These new regional treatment facilities would replace numerous outdated municipal treatment plants. that began operating in 1985. The Cape May County Board of Chosen Freeholders formally expanded the Authority’s pollution abatement mission in 1980 when the Authority was designated as the implementing agency for the Cape May County Solid Waste Management Plan. This Plan was developed in response to the 1976 enactment by the New Jersey Legislature of an Amendment to the New Jersey Solid Waste Management Act. The Authority developed and implemented a comprehensive solid waste management system which includes the siting, construction and operation of a Secure, Sanitary Landfill located on the Woodbine / Upper Township border; a Transfer Station located in the Burleigh section of Middle Township; and an aggressive source separation, recycling, reuse and waste reduction program that provides for the recycling of forty-one (41) mandated materials, reclaims energy through its landfill gas recovery system and prevents toxic materials from entering the waste stream by collecting them through a household hazardous waste program. The Authority’s seven commissioners, who are appointed by the Freeholder Board, and the CMCMUA’s professional staff continue to be committed to protecting the environment for all of Cape May County’s inhabitants..
Last Modified March 22, 2017, 4:27 p.m.